The population of Clayton is near 3000 with a size of 5 square miles as of January 2010. There are currently several Wi-Fi Hotspots available at different locations throughout Town. 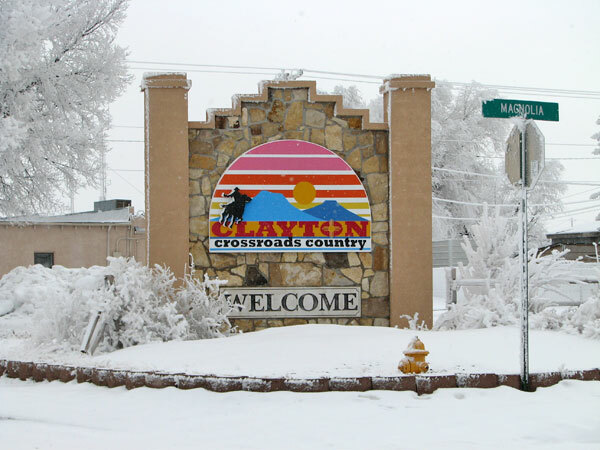 Clayton is a small, attractive Town located nine miles from the border of the Texas-Oklahoma panhandle, in the heart of cowboy country. Clayton is located at the crossroads of two major highways — US/56, the nation's only coast-to-coast highway, and US/87 Canada to Mexico. The friendly, hardworking community of Clayton boasts a surprising array of service attractions for its size — a community swimming pool, tennis courts, softball diamonds, rodeo and fair grounds, gun club, city parks, medical facilities, eating establishments along with a variety of Hotels/Motels. Nine-hole Clayton Golf Club offers discounted green fees for out-of-town visitors. Great lake and river fishing and superb antelope hunting as well as deer, quail, duck, dove, turkey, pheasant, bear and elk hunting are all available throughout Union County. 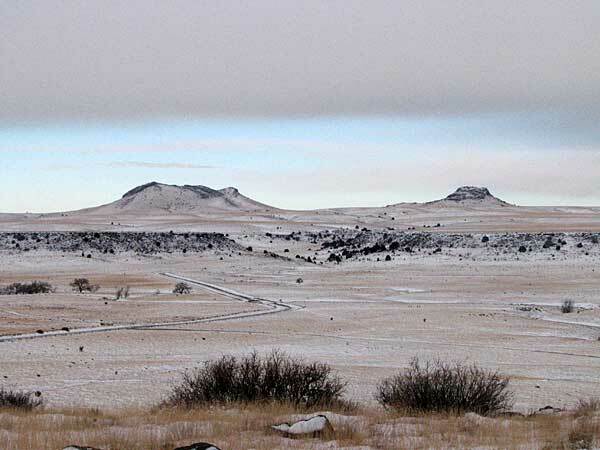 Fish, hike and see dinosaur tracks at Clayton Lake State Park, or look out over the horizon as far as the eye can see at the Kiowa National Grasslands . The restored Eklund Hotel, built from 1892-1902, will whisk you back to Clayton's Wild West origins. The Town of Clayton is governed By a Mayor-Council form of government. Services provided to our community include police, fire, ems, water, trash, streets and sewer. City hall may be contacted at 575-374-8331.